May 21, 2018 - Like us now! 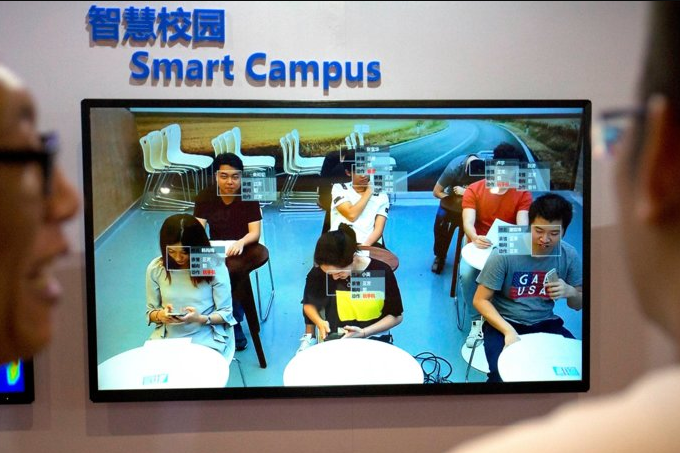 A high school in China has made a facial recognition technology system that scans the student’s behavior in the classroom. The facial recognition technology introduced in the school is recording facial expressions of all students while they are in their classrooms. The system scans the classroom every 30 seconds and recognizes seven different expressions such as neutral, happy, sad, disappointed, scared, angry and surprised. The system is called as“Intelligent Classroom Behavior Management System” and it is being used at Hangzhou No. 11 High School. With scanning facial expressions the system has the ability to even analysis six types of behaviors by the students such as standing up, reading, writing, hand raising, listening to the teacher, and leaning on the desk. The information regarding how the students are reacting and behaving in the class when a teacher teaches is later sent to teachers to more efficiently analyze the behavior of students. The system is also used to monitor attendance. Looking at cameras being installed in schools in China, it is wake up call for schools in Pakistan. Since a system like this helps teachers rethink their teaching style using statistical data and mark class attendance in only a few seconds. What do you think about this facial recognition technology, is it beneficial for students or teachers at all? Let us know your thoughts in the comments below.